“The word relay is my favourite. The children move and the team competition motivates them. 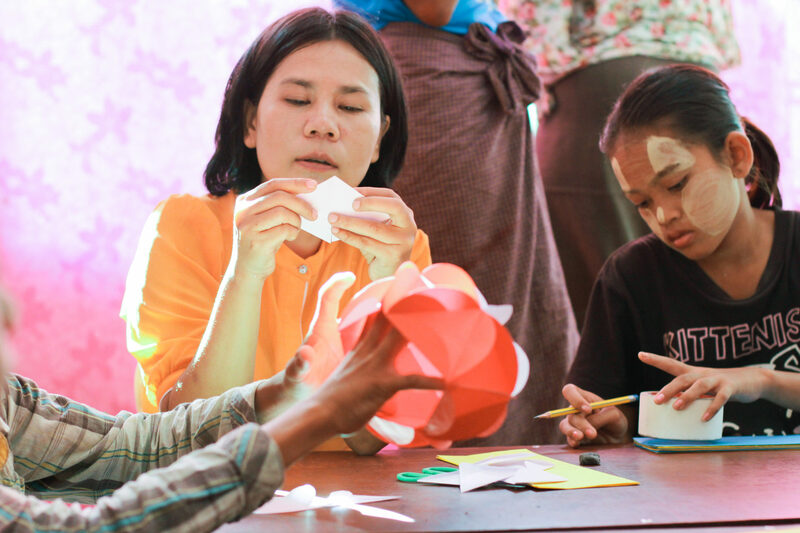 I can really wake up my students’ thirst for knowledge.” Myat Myat Soe is one of the teachers in Myanmar who has completed a SAD course on sport and play in schools. Through play-based lessons, children who dropped out of school can get back into school life. 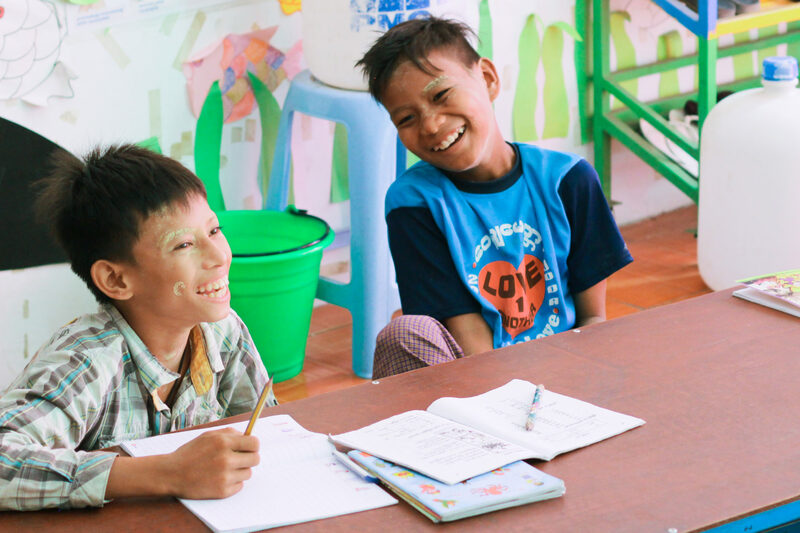 In Myanmar, more and more children leave school without having learnt to read and write properly. Their parents cannot afford the school fees, or the children need to work to contribute to the family’s income. Since 2010, Myanmar is increasingly less isolated. However, the latest developments show that that the product of the economic growth is ending up in the hands of a few rich families. Because of persistent poverty, lots of families move to the cities, where they survive on odd jobs. The results are terrible for the children: rather than going to school, they are forced to work in restaurants or factories. “Most children work seven or eight hours a day,” says Ye Yint Kyaw, a teacher and participant in the SAD course. “That’s why the classes are not during the working day – they’re between six and nine in the morning.” In non-formal classes, 6 to 12-year-olds follow lessons adapted to their needs. Not only the timetable but also the teaching methods are aimed at supporting particularly disadvantaged children. Through playful lessons, they develop the motivation and energy to actively join in. The transfer of knowledge is just one of the aims. Through play, the children practice focusing on a task, working together in a team and finding creative solutions.